Still, on this given Sunday, both Kaepernick, and the ramifications of his protest movement about racial equality and social justice, were back in the news. 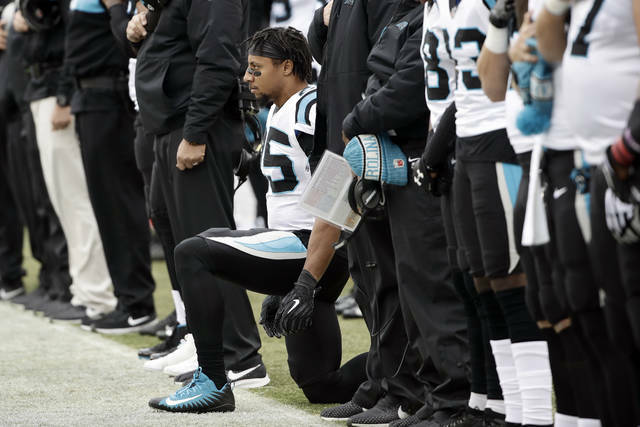 That’s because Kaepernick’s former teammate with the San Francisco 49ers, safety Eric Reid — who is still kneeling during “The Star-Spangled Banner” with his current club, the Carolina Panthers — made his personal conflict with Philadelphia Eagles safety Malcolm Jenkins a very public matter. First, Reid went out onto the field to jaw at Jenkins, who was near the Eagles logo before the game. They got in each other’s faces — Jenkins with a helmet on, Reid without — until officials, coaches and teammates separated the pair. Then, after the game, Reid did not shy away from telling reporters exactly what he thinks of Jenkins. This all stems from Reid’s split from Jenkins’ The Players Coalition after the group sought to get pregame demonstrations to stop if the NFL made charitable donations to causes they support. Reid also was bothered by Kaepernick’s exclusion from meetings on the issue. Kaepernick, meanwhile, tweeted out a message of support for Reid. Tennessee Titans coach Mike Vrabel had no interest in a tie. And when your offense is as vanilla and old-fashioned as his, maybe that makes sense — even if it means flying all the way back from London with a loss. 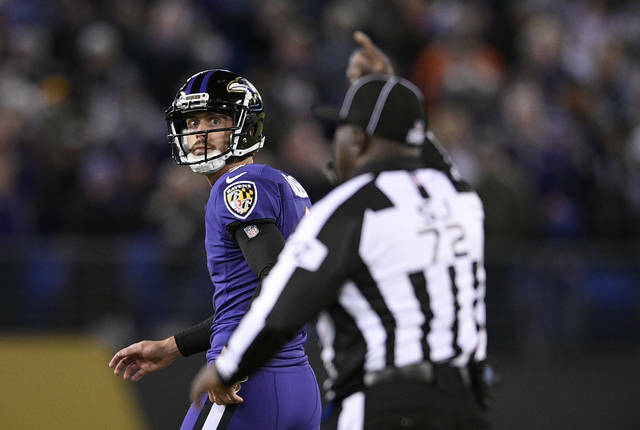 When the Titans scored a TD to cut their deficit to 20-19 against the Los Angeles Chargers with 31 seconds left in regulation, the obvious move would have been to kick an extra point and figure you’ll take your chances in overtime. Vrabel went rogue, though, opting to try a 2-point conversion for the win, while risking defeat. 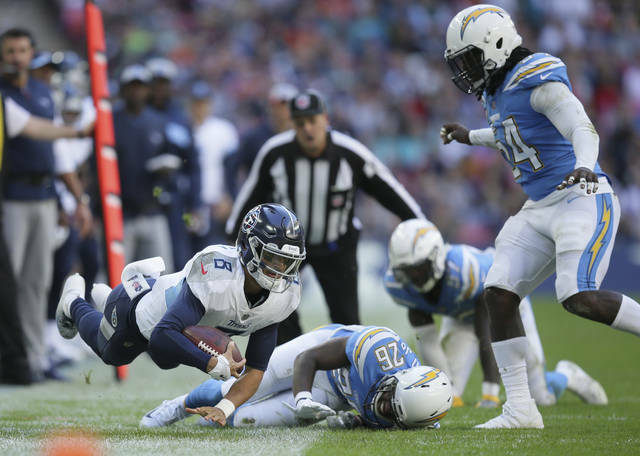 Didn’t work: Marcus Mariota’s pass from the 1, following a penalty on the Chargers, was incomplete, and the Titans lost their third game in a row. Even Jerry Jones had nothing to say after this one. The Dallas Cowboys’ owner loves to offer his thoughts after games — win or lose — but he avoided the media after his club dropped to 0-4 on the road this season with a 20-17 defeat against the NFC East rival Washington Redskins. All sorts of things went wrong for the Cowboys, who are 3-0 at home: Ezekiel Elliott was held to 34 yards; Dak Prescott lost two fumbles, including one returned for a fourth-quarter TD that turned out to be the winning points; coach Jason Garrett appeared to be satisfied setting up a potentially tying field-goal attempt to force overtime rather than trying to get the ball in the end zone in the closing seconds; a rarely called penalty on the long snapper turned a 47-yard kick into a 52-yarder that Brett Maher doinked off the left upright.